The desolate Dungeness Estate on Romney Marsh, which estate agents are calling Britain's only desert, is on the market for £1.5 million. The landmark, which has become a popular destination for tourists, comprises of more than 450 acres of land, predominantly consisting of shingle, old railway coached, fishing huts and boats. The sale, by Strutt and Parker estate agents, does not include the famous Dungeness Power Station, lighthouse, pub or railway station - all of which are privately owned. 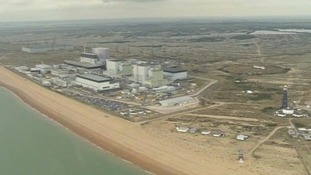 Dungeness is one of Britain’s most important and spectacular landscapes. I can safely say, that in my 25 plus years at Strutt & Parker, I have never sold or will ever sell, anything quite like theDungeness Estate.